PORT VICTORIA, Seychelles, November 13, 2013/African Press Organization (APO)/ -- Maritime forces from the United States, 10 East African and two European nations, along with several international organizations, commenced the multinational maritime exercise Cutlass Express 2013, Nov. 11. "We want to continue to make the waters off East Africa a safer place, and that's what you're here to do," said Capt. Guy Jackson, Cutlass Express 2013 Exercise Director, in remarks during an opening ceremony in Seychelles. "Cutlass Express is designed to enhance maritime security capabilities, improve information sharing and strengthen the bonds of each and every participating nation, so that we can all work together for the long term." Dr. Ibrahim Mohamed Abdelrahim, Head of Liaison from the East Africa Standby Force, echoed Jackson's sentiments at the ceremony and expressed the importance of cooperation and collaboration in ensuring maritime security. "We East African nations have benefited greatly from the exercises and activities that our forces have completed; we look forward to this week's exercise," said Dr. Abdelrahim. Exercise Cutlass Express, in its third year, is one of four Africa-focused regional "Express" series exercises facilitated by U.S. Naval Forces Europe-Africa/U.S. 6th Fleet. The exercise is part of a comprehensive strategy of U.S. Naval Forces Europe-Africa/U.S. 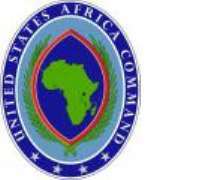 6th Fleet and U.S. Africa Command (AFRICOM) to enable African partners to address maritime security concerns. "This year we have 13 nations participating. Such a high number represents the outstanding cooperation we are seeing in this region, a cooperation that we hope to see continue to increase as a result of this exercise," said Jackson.